Our color of the month is Golden Glow. Gold is an excellent choice for July a month filled with bright sunshine and sparkle! In today’s tutorial, I create this sweet birthday card theme with two puppies that are colored by hand. 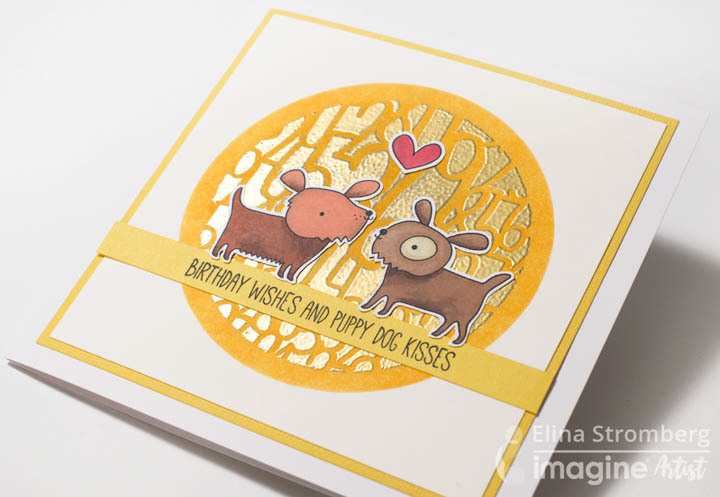 This time I used a golden color for decorating the background of a cute birthday card. I love how it turned out! For decorating the card background I used two stencils that I layered on top of each other. I placed the number themed pattern stencil on the card background and masked with a circle stencil. 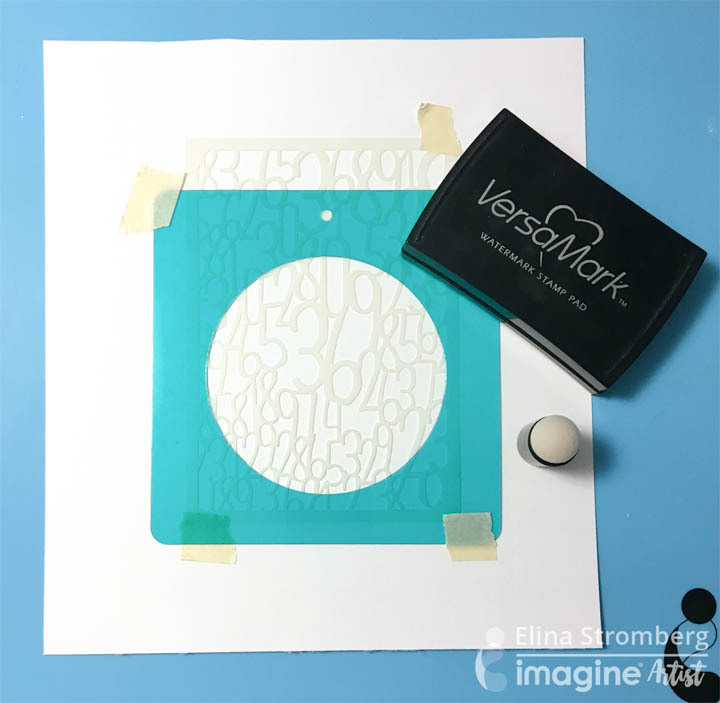 Create the pattern with heat embossing by dabbing clear VersaMark on the background, remove the masks, and heat-emboss the revealed pattern using Gold Embossing Powder. Place another, slightly larger circle stencil on the heat-embossed area, and inked the round background area with yellow ‘Cantaloupe’ Memento ink. This step made the background less busy, letting the stamped, colored, and fuzzy-cut main images pop. When the background was ready I stamped and colored the puppy images on white cardstock. When fuzzy cutting I left a thin area around the images, which made the cutting a lot easier as not all the finest details needed to be cut out. 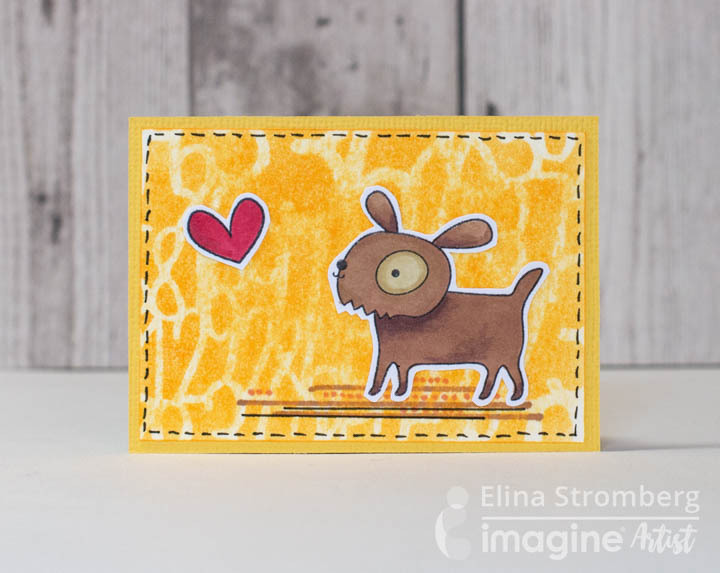 The cute puppy stamps are from My Favorite Things Top Dog collection. The extra copies can be used for trying out new color combinations, but they also become handy if something goes wrong with coloring and you need to start over. I used Promarker alcohol markers for coloring, so for stamping it was important to use a water-soluble Memento. Tuxedo Black was just the right choice for that step. 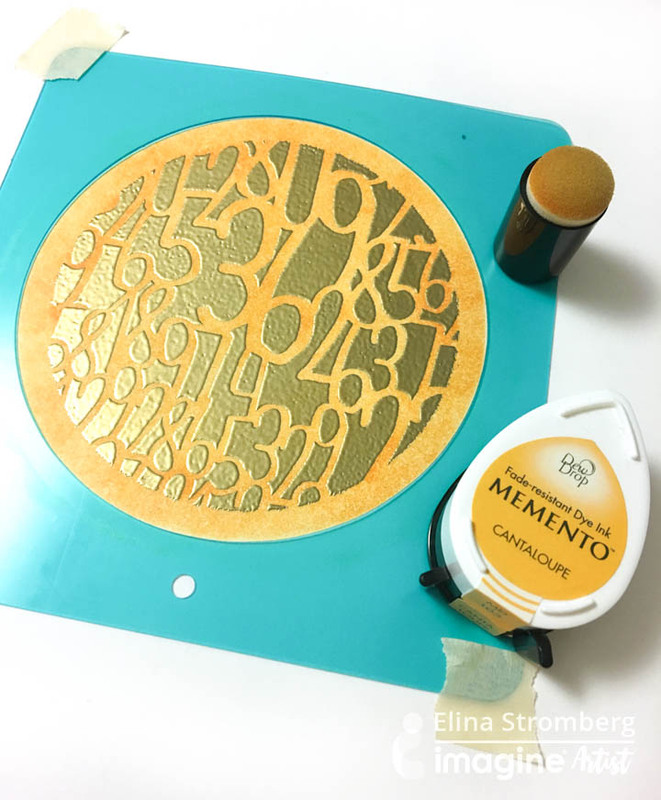 This entry was posted in 2018 ARTIST IN RESIDENCE, Advanced, Beginner, Cards, DIFFICULTY LEVEL, DIY, Elina Stromberg, Embossing, INSPIRATION, Intermediate, PROJECTS and tagged cardmaking, Cards, DIY, DIY Inspiration, Embossing, Embossing Powder, Handmade, Memento, Paper Crafting. Bookmark the permalink.